A perfect storm led to a horrific limousine crash that left four young women dead and six other people injured Saturday evening in Cutchogue, as detailed at a news conference Monday by Suffolk County District Attorney Thomas Spota. The accident happened at a troubled intersection among North Fork vineyards, where police say limousine drivers have been cited for failure to yield the right of way while making wide U-turns across a high-speed stretch of road. The crash involved a limo driver who told police he did not see an alleged drunken driver approaching in his red pickup truck. These factors led to the tragedy, Spota said. "This was a gathering of young women" who were "enjoying the North Fork," Spota said at the news conference in Peconic. "Because they wanted to act responsibly, they chose not to drive. They chose to use a limo." Spota cautioned the investigation is still in the "very, very" preliminary stages. "There's a lot which we still don't know ourselves," he said. The district attorney said accused drunken driver Steven Romeo, 55, of Southold, whose red pickup slammed broadside into the limousine carrying eight friends on an outing, admitted he had consumed alcohol prior to the fatal crash. The results of chemical blood tests have not been processed. Spota said Romeo told police he worked from 8 a.m. to noon, then went home, where he worked around the house and drank beer. The prosecutor said that Romeo, who remains hospitalized with injuries including a broken nose, remained at the crash scene for 15 minutes, then walked away eastbound. Spota said Romeo made it about 1,000 feet, where he climbed over a 6-foot fence next to a transfer station and proceeded "down a steep embankment," before being stopped by a Southold police officer, who escorted him back to the scene. Spota said it was unclear whether, as defined by law, the actions of Romeo constituted an attempt to flee the scene. It was after Romeo was escorted back to the accident scene that field sobriety tests were administered, Spota said. Spota said the limo driver told investigators he did not see any incoming traffic when he attempted to make a U-turn from the eastbound lanes of Route 48 into the westbound lanes at Depot Lane. The prosecutor said the driver had exited the nearby Route 48 vineyard and was making the U-turn to head back to Smithtown, where the eight friends had first boarded the limo. Southold Town Police Chief Martin Flatley said drivers exiting the Route 48 vineyard often made U-turns at Depot Lane, because there is no direct cut-through from the eastbound side of the roadway to the westbound at the vineyard location. He also said police officers issue approximately 10 to 12 summonses a month to limo drivers along the Route 48 corridor for U-turns that block oncoming lanes; specifically, he said, citing them with failure to yield the right of way. Spota said limo drivers, their companies and even the vineyards themselves had been made aware "that this is a serious matter." It was not clear, however, if the limo driver involved in the crash had been made specifically aware. He said the limo driver, Carlos Pino, 58, of Bethpage, told authorities he did not see the red pickup truck approaching when he made his turn. An eyewitness told investigators the limousine "turned right in front of the truck" that slammed into it, killing Stephanie Belli, 23, of Kings Park; Lauren Baruch, 24, of Smithtown; Brittney M. Schulman, 23, of Smithtown; and Amy R. Grabina, 23, of Commack. It was not clear, Spota said, how fast Romeo was traveling when his pickup struck the limousine. Romeo was later taken to Eastern Long Island Hospital in Greenport, where he was admitted after the wreck. Romeo was charged with DWI, a misdemeanor, but ordered held on $500,000 cash bail or $1 million bond. He pleaded not guilty Sunday. Assistant Suffolk County District Attorney Elizabeth Miller said he will probably face additional charges. Romeo's attorney, Dan O'Brien, offered condolences to the victims Sunday. "It's a tough situation," said O'Brien, who is based in Nesconset. Co-owner of Romeo Dimon Marine Service in Southold, Romeo is scheduled to appear in Southold Town Court on Friday. The gate to Romeo Dimon Marine Service was open Monday but doors to the building were closed. A man who said he owned the Southold property declined to comment. 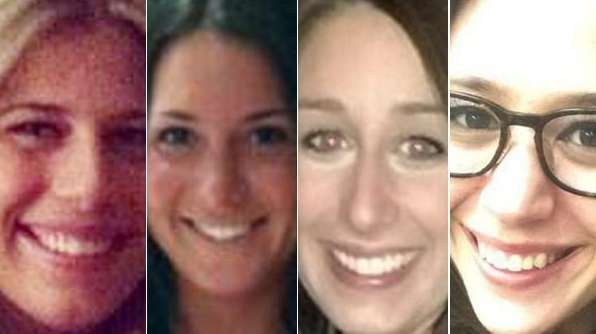 The four young women killed Saturday had hired the limousine for a celebratory day in the North Fork wine country. The limo passengers were "a group of women out celebrating an upcoming event," assistant DA Elizabeth Miller said Sunday. 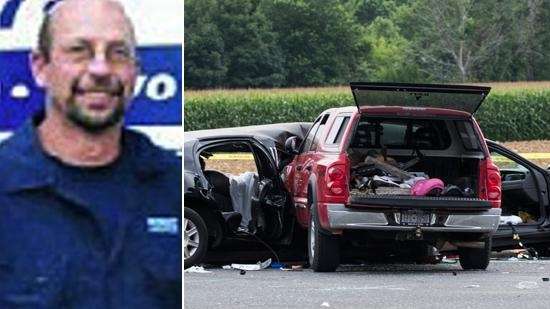 "There was a bride" and she survived the wreck, Miller said. Friends and family of some of the women said the gathering was not a wedding celebration. Officials with the limousine company said the car was hired for a birthday. Family and friends Sunday described the four women killed as vibrant and accomplished. Belli, Baruch and Schulman all were graduates of Smithtown High School West, school officials said Monday. Police identified the four friends who survived the crash as Joelle M. Dimonte, 25, of Elwood; Alicia Arundel, 24, of Setauket; Olga Lipets, 24, of Brooklyn; and Melissa Angela Crai, 23, of Scarsdale. Pino, who works for Ultimate Class Limousine in Hicksville, also was injured. He has not been charged with any crime. In a statement, company officials called the crash "a tragic accident on what should have been a happy day for a group of young women. 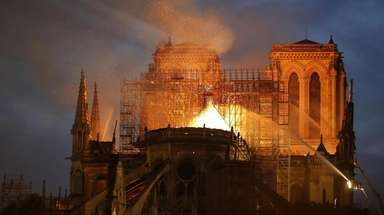 We pray for the victims and for the families as they go though this unimaginable time." Dimonte had surgery at Peconic Bay Medical Center on Sunday, according to Samantha Vigliotta, vice president of the center's foundation and external affairs. Dimonte was in good condition Monday at the hospital, Vigliotta said. At Stony Brook University Hospital on Monday, Crai was in serious condition, Lipets in fair condition, and Arundel in good condition, according to media relations representative Greg Filiano. Donna Carnebale, who lives down the road from the accident scene, dropped off a bouquet of flowers Monday at noon. "It's a tragedy for everybody," she said.